Top Speed Exhilarating top speeds of 18 mph (S) and 20 mph (X) get you there faster. 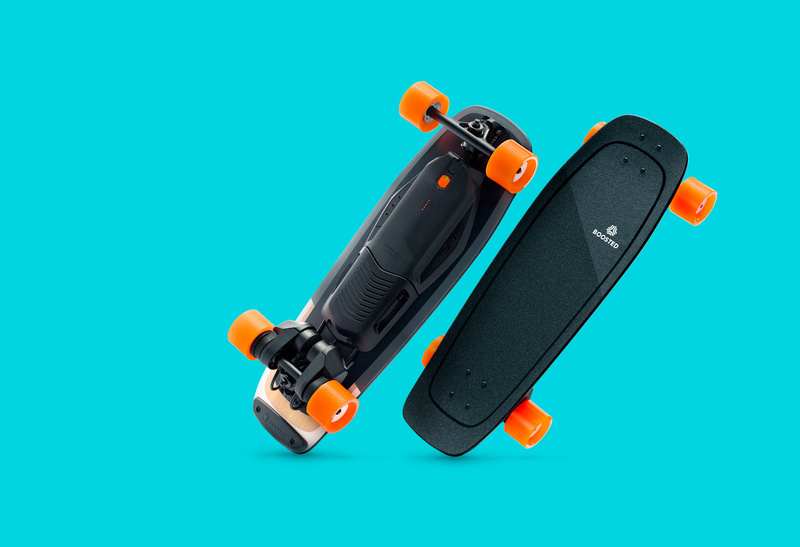 Perfect for shorter commutes, cruising campus, and quick errands, the Boosted Mini is everything you need in a small electric skateboard. The unique Deep Dish concave shape secures your feet in position so you can lean in and push against the deck for superior control and response. The kicktail design lets you make sharp 90 degree turns and pivot for ultimate maneuverability. Using construction techniques developed in high-end snowboard manufacturing, Boosted Mini’s custom-designed Deep Dish composite deck is built around a strong, yet lightweight poplar core and wrapped in fiberglass for a smooth, refined ride. 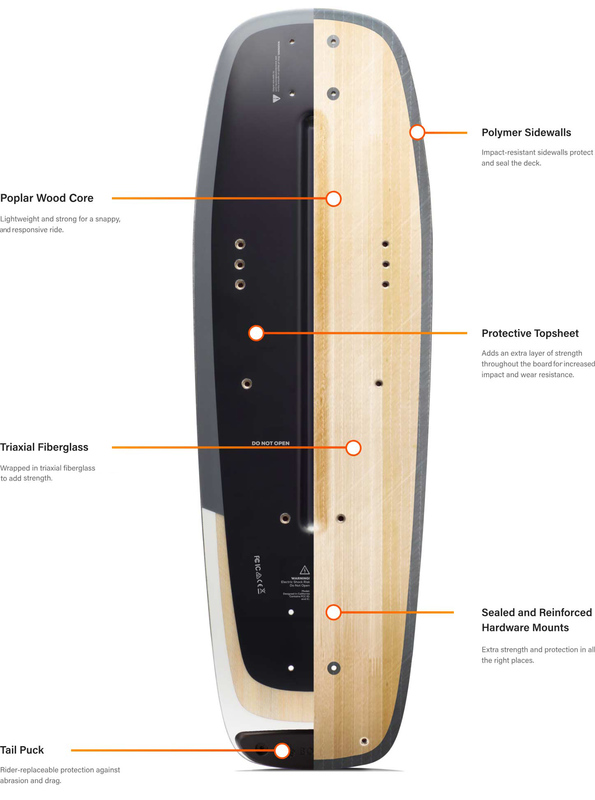 All of the board’s edges are reinforced with a polymer sidewall, making the board ultra-durable from all angles. 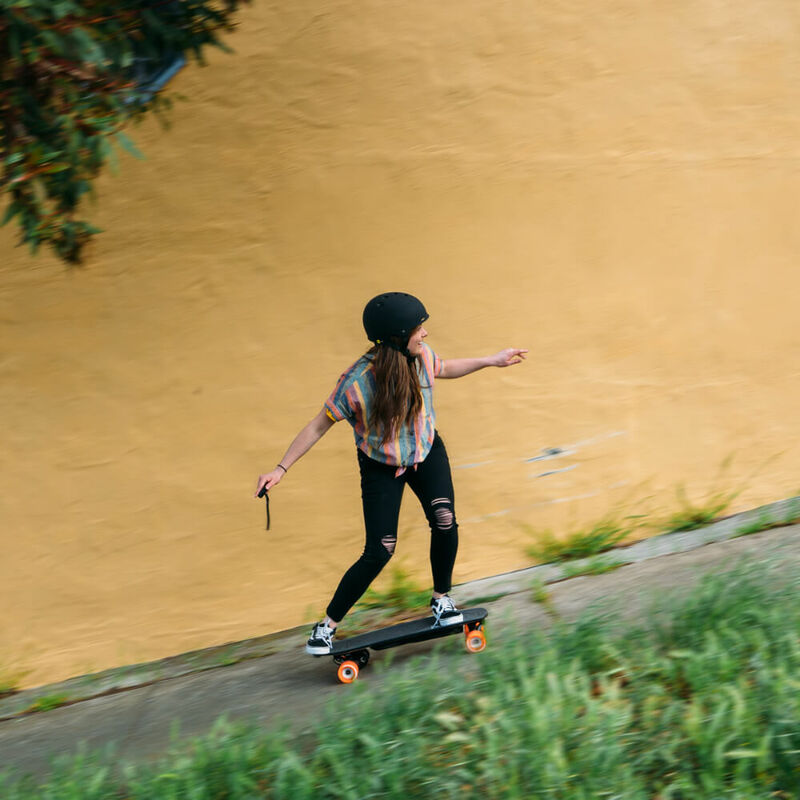 With a top speeds of 18 mph and 20 mph, both Boosted Mini models offer just the right amount of speed without sacrificing stability. 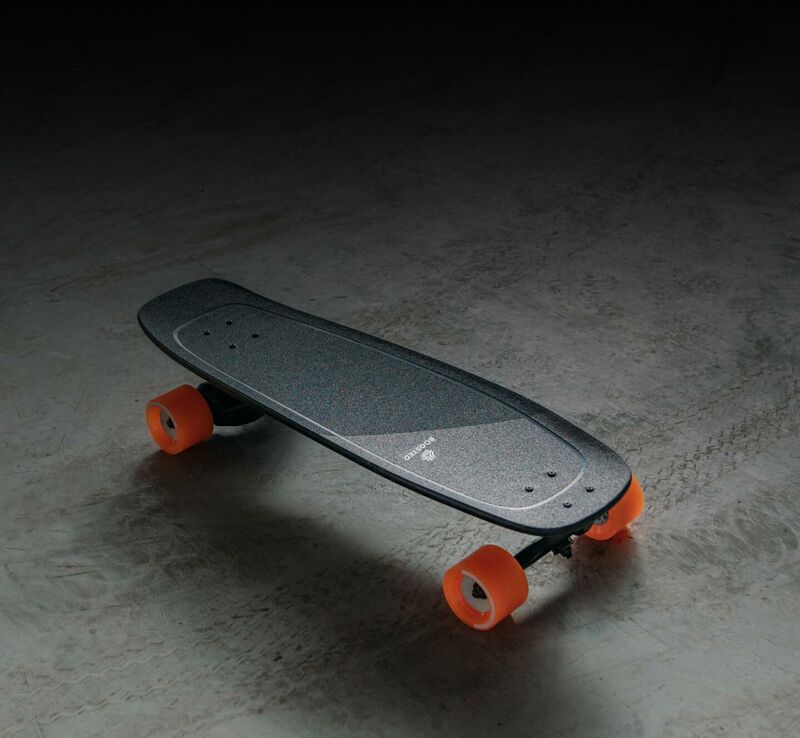 With ride modes and acceleration patterns designed to suit the board’s compact profile, Boosted Mini delivers the same powerful acceleration and smooth, secure braking you expect from Boosted. Choose your range. 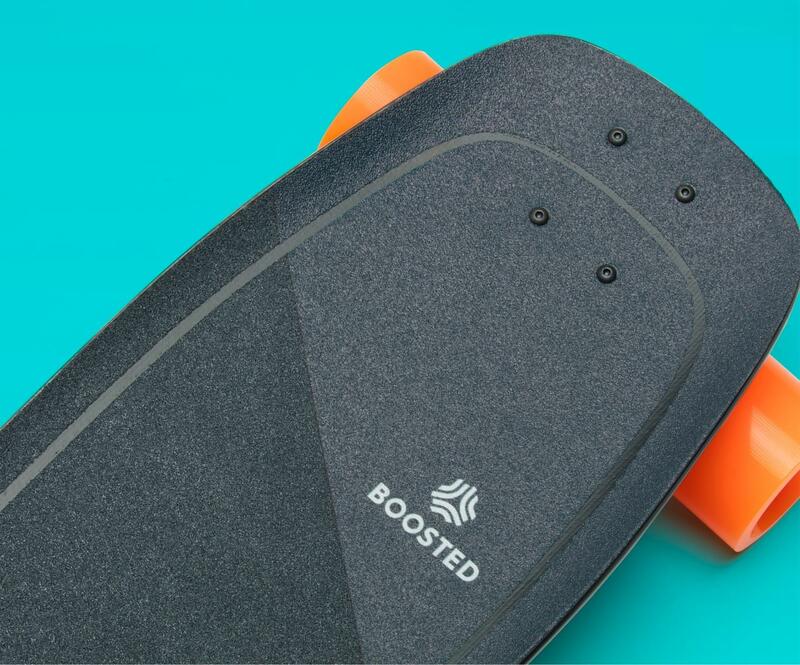 Boosted Mini is available in both the 99Wh, air travel-friendly standard range ( up to 7 miles) and extended range (up to 14 miles). Standard range and extended range batteries are not interchangeable. 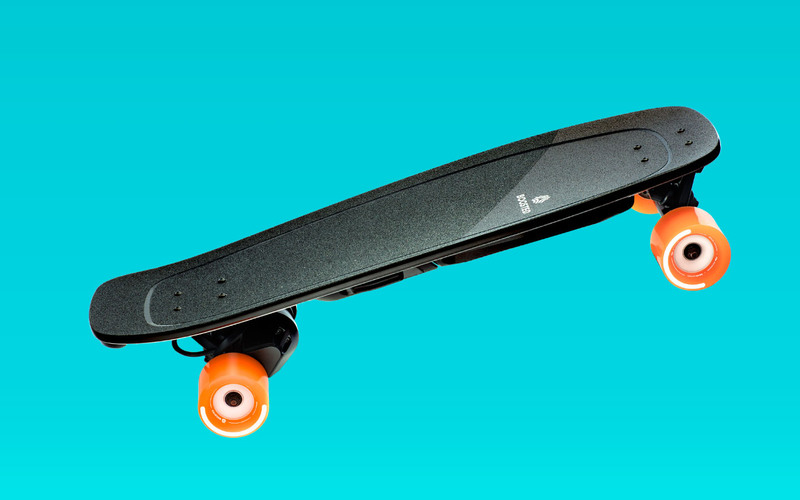 Small and mighty, the Boosted Mini can take on hills as steep as 20% with ease. 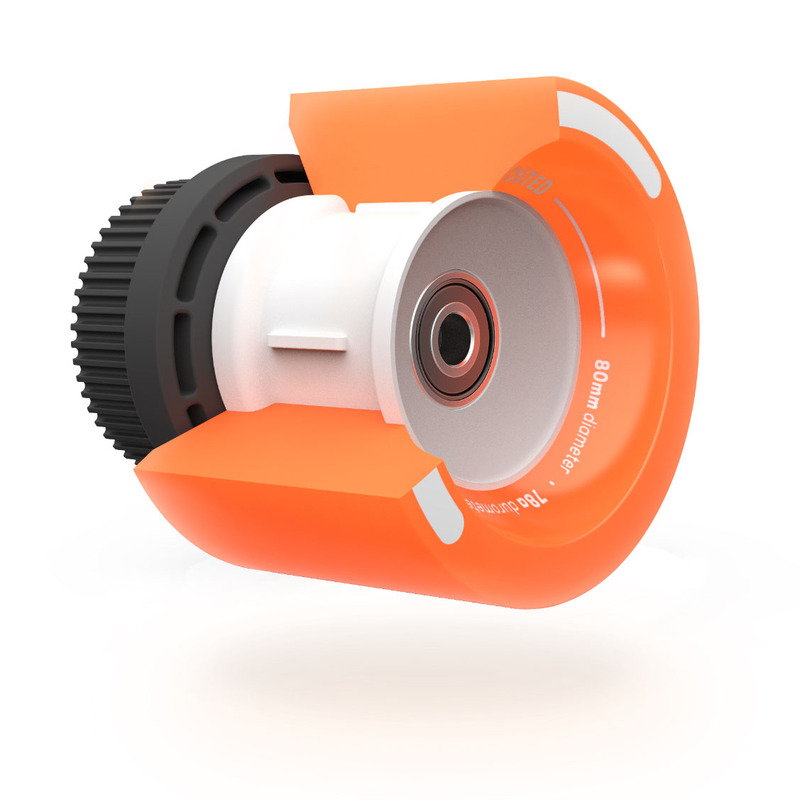 With a 3:1 gear ratio, our belt drive produces more power than a Tour de France cyclist. That means you’ll always have reliable, split-second control of your acceleration and braking. 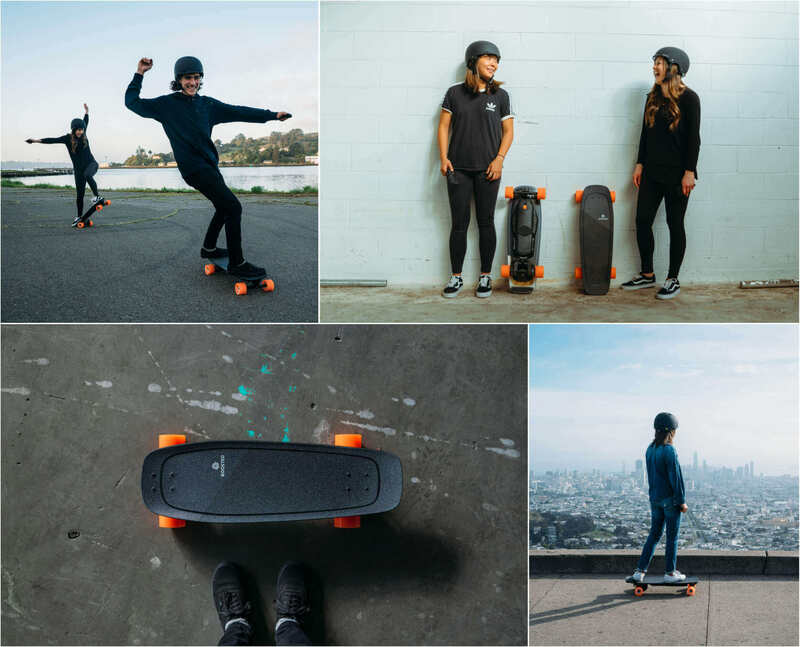 All Boosted boards are purpose-built from the ground up for the rigors of electric skateboarding. We took care of the details so you can enjoy the ride. 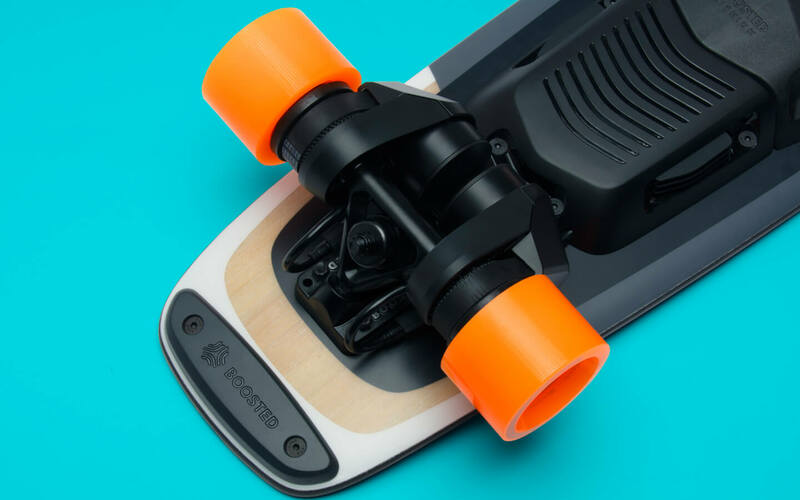 Boosted’s new, custom-designed 80mm wheels are purpose-built for electric skateboards. Smoother and faster than ever, the wheel’s flex profile is soft enough to handle road imperfections, yet firm enough to provide all the grip riders need when it matters most. With a focus on the rigors of daily commuting, we’ve built the drivetrain around CNC precision machined trucks with a higher grade aluminum and an updated design that adds more material in high stress areas. The result is a massive increase in overall strength right where you need it most. 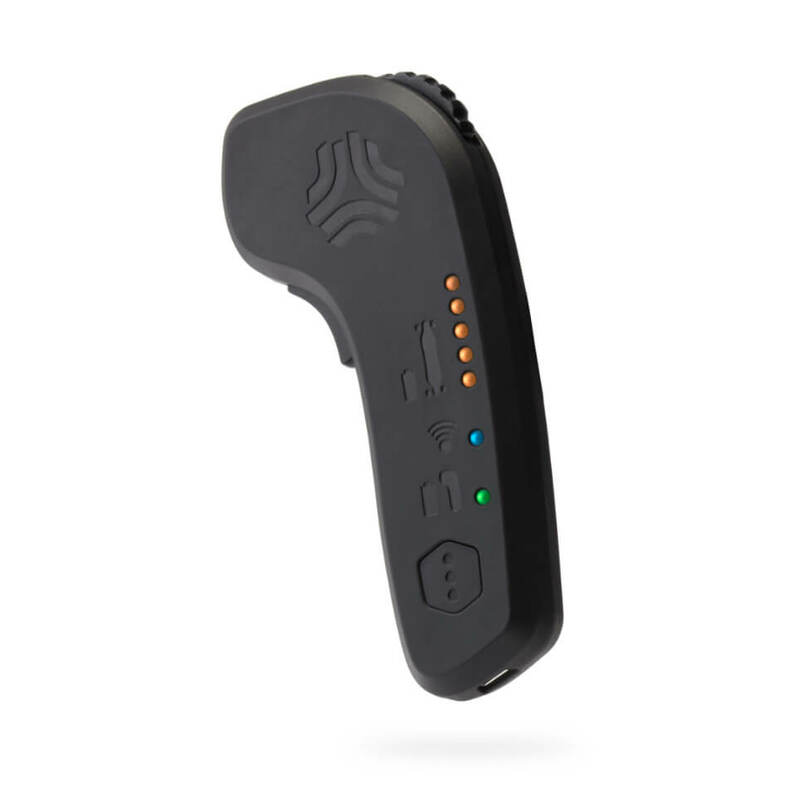 Boosted’s ergonomic remote works in concert with our cutting-edge firmware to make the Boosted experience incredibly simple and intuitive and reliable. 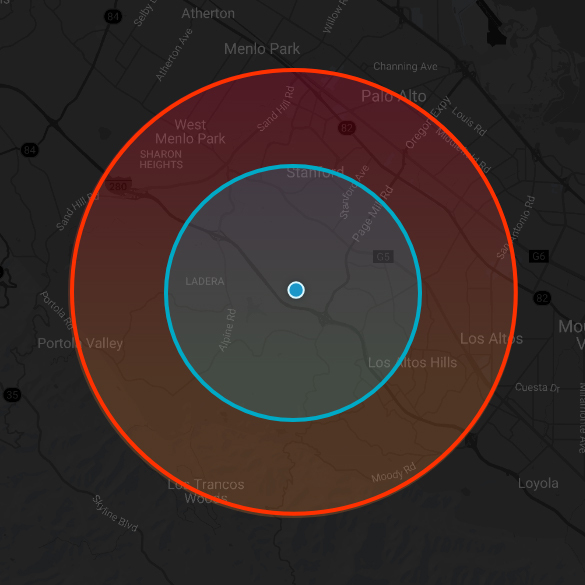 Each ride mode includes a unique Jerk Filter™ that provides a careful taper when accelerating or braking. This provides a super responsive, yet predictable ride, from beginner to pro.